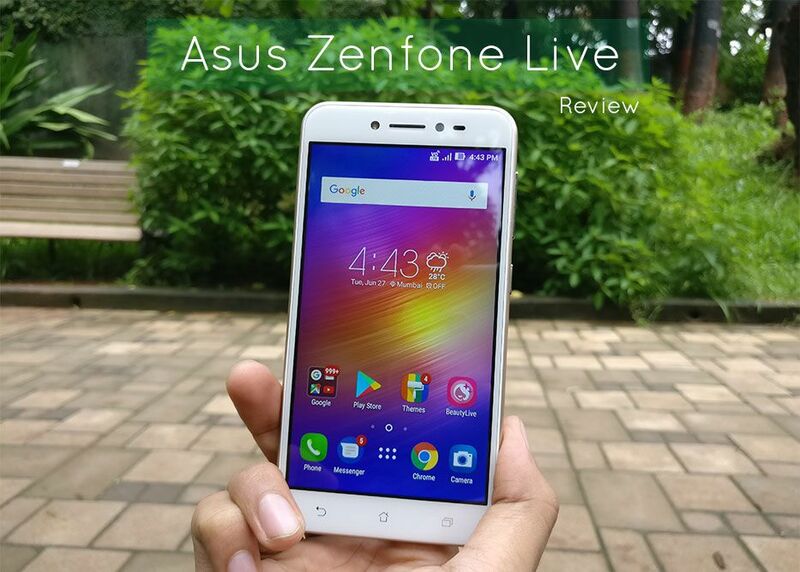 Asus Zenfone Live Review: An Over-priced Smartphone. 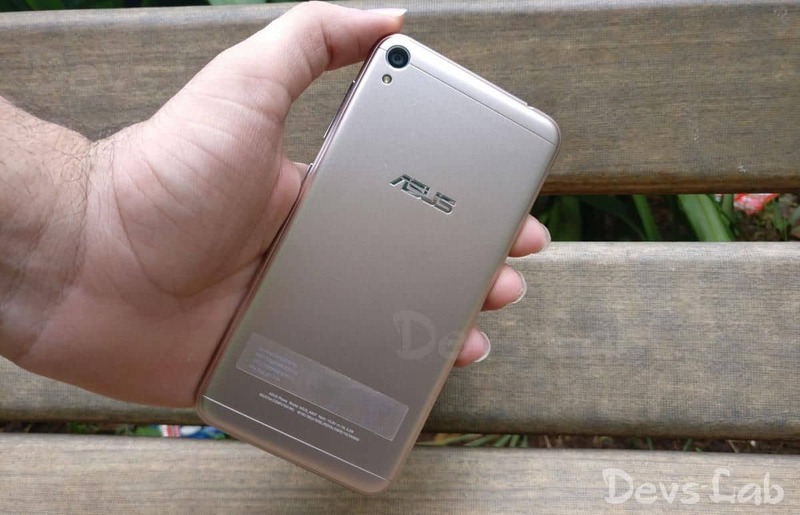 Asus, the Taiwanese Manufacturer doesn’t fail to introduce new smartphones almost every month. While the Smartphones are not always high on Specifications, they always maintain the “Premium” built quality. But, is the built quality enough to face the competition in this rapidly growing Smartphone industry where fingerprint scanner are a thing of the past. Today we’re here with a review of another highly hyped smartphone from the Taiwanese multinational company, the Asus Zenfone Live. The Zenfone Live looks pretty much like every other budget smartphone from the front. The device has a front flash for the selfie shooter, we will discuss about its performance in Camera part. Talking about the device, those perfectly designed curves make it very ergonomic phone to hold. The back of the device is not much slippery so you don’t need to worry about dropping your phone while using it. As the device weighs only 120g, it’s the most lightest smartphone I have ever used. Holding it makes me so much comfortable during those long call hours or watching videos. Asus has done a brilliant job in the weight management of this device. It’s simply “marvelous”. At the right we have the similar Zenfone family coated Volume and power buttons. At the left we have the sim card tray. We have the 3.5mm headphone jack and 1st microphone at the top. At the bottom we have a mono speaker and the charging slot with the 2nd microphone. There’s nothing much to talk about this things, as they remain similar in all the devices. One positive point is, as the device is only 5inch & very light weight, its really easy to reach every buttons single handedly. At the back we an Asus branding at the center carved onto the metal back. It has a unique rear camera placement between the antenna lines which makes it look similar to the Redmi 4A. Just below the camera we have a flash. Overall the device feels very comfortable to hold because of its weight and finish. As it’s an Asus, quality is not compromised on this one too! The Asus Zenfone Live has a 5 inch 720p LCD display which produces decent colours when compared to other devices in this segment. Using the device in sunlight was not an issue at all. But as it’s a 720p display, you won’t be able to enjoy those high quality videos. A 1080p display would have been much better for this price. 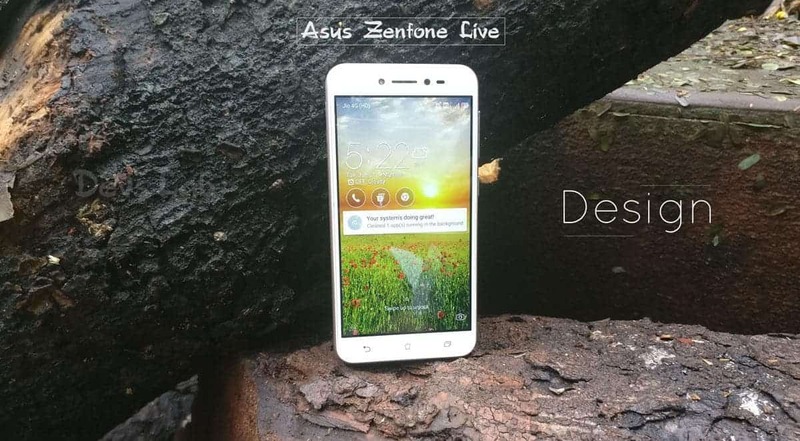 The Asus ZenFone Live is powered by quad-core Qualcomm Snapdragon 410 processor and it comes with 2GB of RAM. The phone packs 16GB of internal storage that can be expanded up to 128GB via a microSD card. The device comes with Android Marshmallow 6.0 out of the box with the ZenUI 3.5 on top of it. I really don’t understand why would a company put a 2 year old Processor on a device priced at Rs. 10,000. Talking about the performance, the phone runs smoothly with the latest ZenUI 3.5 which manages to free up the RAM & kill battery hungry apps. But, this phone is surely not meant for those Performance hungry buyers. Only thing I like about this phone is, Sound. The mono-speaker at the bottom produces loud sounds without any kind of distortion. Also, the sound quality in headphone is decent. Like any other Zenfone device, Zenfone live comes with an “Outdoor” mode, which somewhat increases the volume. Coming on the aspect, that the company has been majorly focusing on this device, the Camera. The Asus ZenFone Live packs a 13-megapixel primary camera on the rear and a 5-megapixel front shooter for selfies. The company has been marketing this device as the World’s First Smartphone with Real-Time beautification while Live streaming. But what’s the use if the camera is not so good? I really don’t know what where the guys at Asus thinking while making this device. 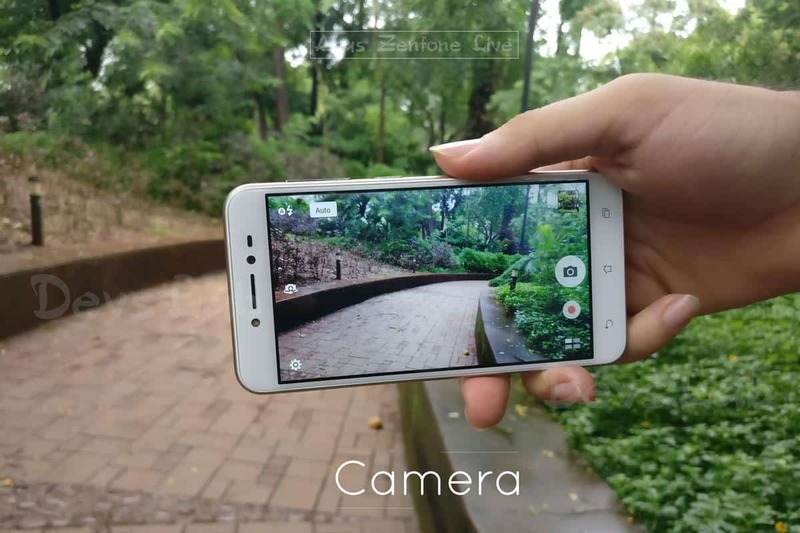 Camera being the main marketing strategy of this device, its really bad for this price. The rear Camera on this device adds a weird Purplish colour on to the images captured through it. Also, the Color reproduction was really bad! While the camera performs decent in daylight, it struggles a lot in low light condition. The images captured in low light were with lot of noise. After turning on the “Low-light” mode option in the camera, it felt like using an age old smartphone, it’s very laggy. Sometimes, after turning on the “Low-light” mode, the images captured were completely green, like an image with just green color. I don’t know if it was the issue with our device or the phone itself. Here are some of the Camera Images compared with Redmi Note 4. Note: The quality of all the images are reduced for website purpose. The Real Time Beautification works pretty well but a better Camera would have made it worth the price or else, it is of no use. Overall the Camera on this phone is below Average, as per the price. I personally find the camera much better on Redmi 4A. Talking about the major selling factor of Asus Smartphones, the battery. 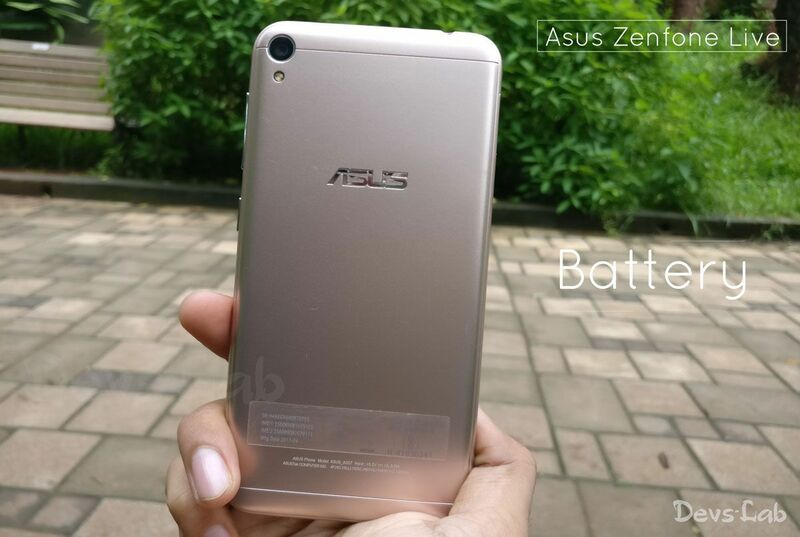 The Asus Zenfone live is powered by a 2650 mAh non removable battery. The battery life of this smartphone is pretty good and lasts around a day on moderate usage. It lasted around 5-6 on continuous 4G usage & taking pictures. The Screen on time was around 2 hours. I have got no complains regarding the battery, as the increase in battery size would make the device heavy & I really like to hold this light weight Zenfone live. 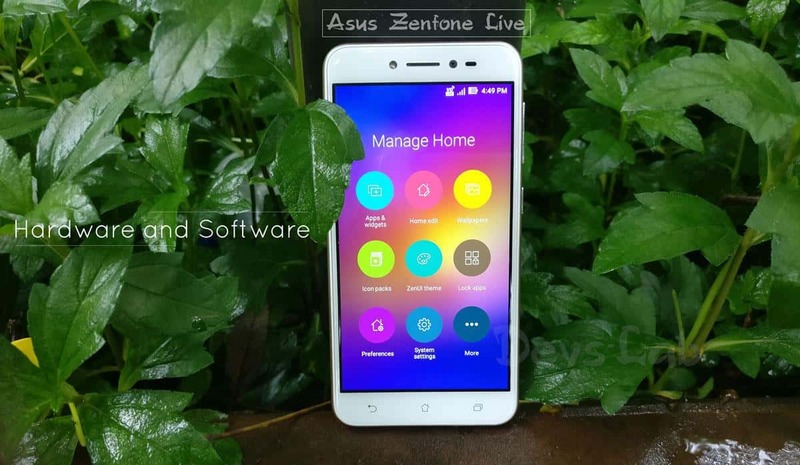 The Asus Zenfone Live is a decent smartphone which would be my choice only because of the weight. But using it as my Primary device won’t be a good option. If you’re talking about the “Bang for the buck” category, Asus Zenfone Live is surely not the phone worth Rs. 10,000. Also for this price, the device doesn’t come with Fingerprint sensor. It’s surely an over priced Android smartphone. 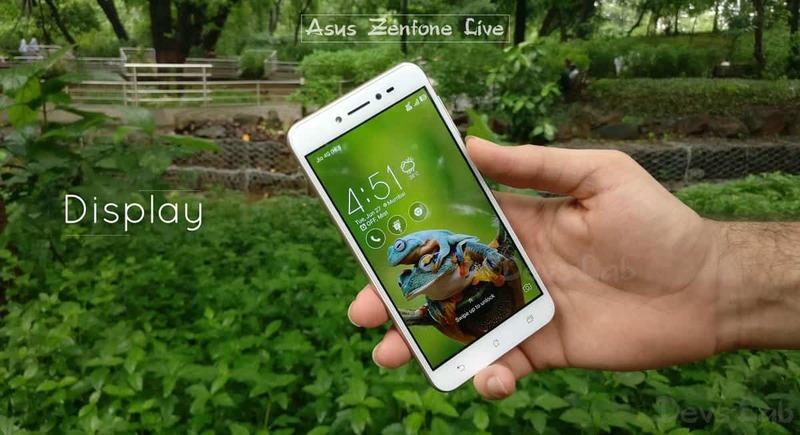 The Asus Zenfone Live is a decent smartphone which would be my choice only because of the weight. But using it as my Primary devic, meh! If you're talking about the "Bang for the buck" category, Asus Zenfone Live is surely not the phone worth Rs. 10,000.